The Best of Teacher Entrepreneurs II: Scaffolded and Differentiated Informational Text Lesson Bundle! 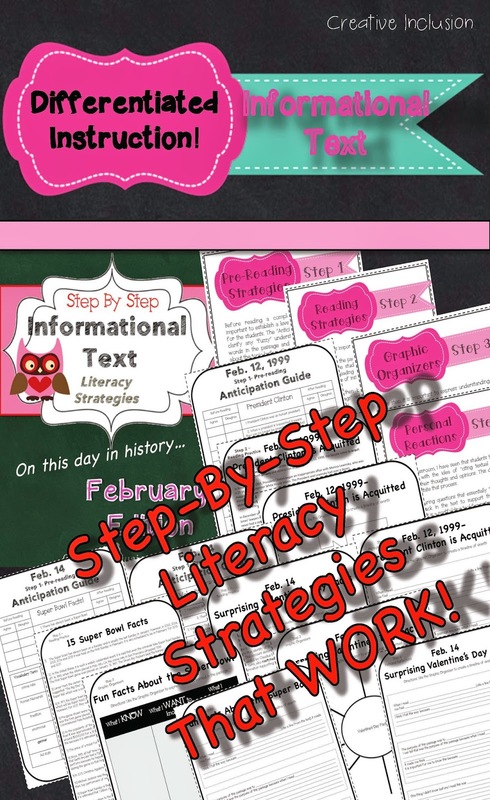 Scaffolded and Differentiated Informational Text Lesson Bundle! This product is loaded with research based instructional strategies, including pre-teaching, scaffolded instruction, close reading, graphic organizers, collaborative learning suggestions, and writing personal reflections, while citing the text. whew! Push students to perform at their full potential by offering strategic supports for their diverse learning needs! It is always fun to watch them set goals and then ACHIEVE them! Informational Text Reading- Differentiated Material!